I previously wrote about versatility of farmer’s cheese (aka Tvorog) and its wide use in Eastern European cuisine in my recipe for Zapekanka. 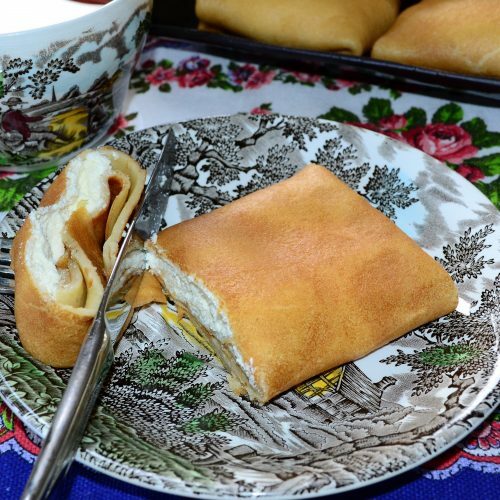 This is another wonderful use of this soft cheese in a traditional filled pancakes. 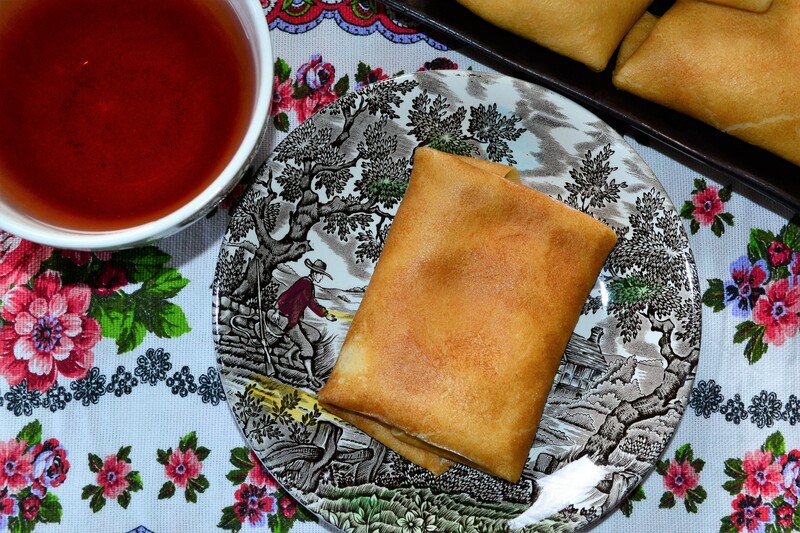 I believe similar recipe can also be found in Jewish cuisine under the name “blintzes”, with is similar sounding to Russian “blini”, which are in essence French crepes. And these are in fact traditional Russian blini, not the tiny ones you eat with caviar. Crepe batter will be very liquid – that is normal. You will loose your fist crepe…or 2. – that is also normal. Use crepe pan or a very good non-stick pan. You don’t need to oil it, because the oil is in the crepe batter and the milk is full fat. Use small ladle to distribute batter around, and a wide, very thin spatula to flip pancakes. Crepes with sweet farmer's cheese filling. Good enough for any time of the day, filling crepes with semi-sweet farmer's cheese (aka Tvorog) filling. Mix everything in one bowl by hand or in mixer on very slow speed. Start with sugar and eggs, then add milk, then flour (gradually) then mix in the rest of ingredients. Let the batter stand in refrigerator while you make the filling or up to 30 minutes. Mix all the filling ingredients in a standing mixer on low speed. Set the mixture to rest in the fridge. Start frying your crepes. Heat your frying pan, then reduce the heat to med-high. Hold the pan in one hand. With another hand, use the small ladle and pour the batter into the center of the pan, then quickly distribute it all around by turning the pan in a circular motion. Don't go anywhere! Stare at your crepe until it develops bubbles - this is the time to flip the pancake. When crepes are ready, start filling them with sweet cheese mixture by putting about two tablespoons of mixture into the center of pancake, fold the top half over, then bottom, then finish off with the sides, so you have a neatly folded pancake. Keep them with the folded side down. Keep going until you run out of filling or crepes. I usually run out of crepes, because I lose the first one or two. Et voila! Serve these for breakfast, brunch or even dinner. 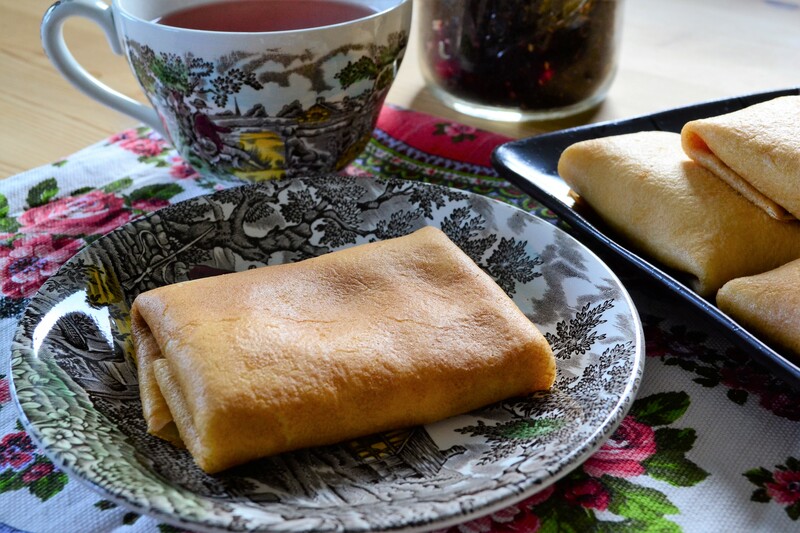 Crepes will keep well in refrigerator for a couple of days and can be heated in microwave.